Over nine years in masonry building fire places, stone patios, veneers, and pillars. Over fifteen years in carpentry building log homes and remodeling and building conventional homes from the ground up. Rory is native to the Nevis-Park Rapids area. Rory worked for his family owned golf course in Menahga for many years helping design, build, and maintain it. He has done numerous landscaping and architecture. Besides working at his family’s golf course he also did masonry work for over 9 years. He laid rock and other kinds of stone on fireplaces, pillars, homes, and floors, for both commercial and residential properties. Rory also has enhanced knowledge in carpentry. He has built many different kinds of buildings from the ground up. For his first home he cut all of the logs, sprayed them, notched them, and built a log home from scratch. After building his own home he helped build and renovate many more homes and businesses. He is also working towards a BA in Political Science and has just finished renovating yet another home for his ever growing family. Rory’s interests are as diverse as his knowledge. He has been all over the United States on numerous hunting and fishing trips. He spent over 3 months in Mexico where he received a scuba diving license. He also really enjoys sports, especially golfing. But his greatest passion is God and family. 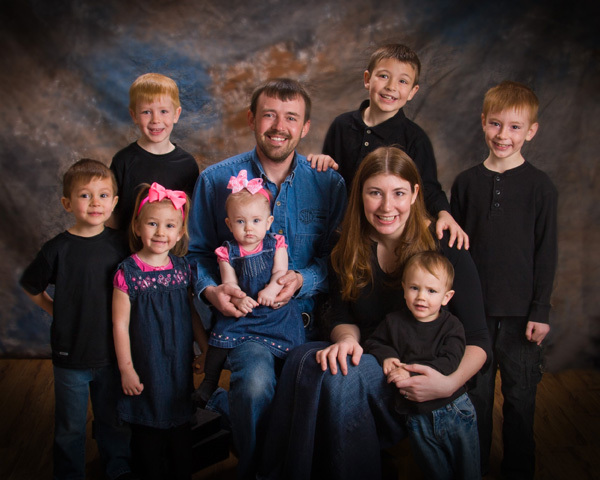 He has a wife of over 17 years, and eleven children (four not pictured). Rory is one of the hardest workers and most motivated people you will meet. He really enjoys doing home inspections and meeting with his clients. He does quality work with both honesty and integrity. Rory will give you the best home inspection experience in the area, with the best reports anywhere. HOME INSPECTION– I currently own and operate my own home inspection business. I have many years of experience and expertise in the building industry. I have completed the Kaplan Professional Home Inspection Schooling and Exam. Additionally, I have passed the National Home Inspector Examination. Along with home inspections I am also certified to test for radon, and I also do water and lead testing. 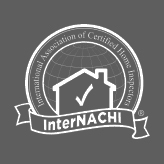 In addition, I am a member of INTERNACHI (International Association for Certified Home Inspectors). Through INTERNACHI I do continuing educational courses and testing every year. MASONRY– I have over 9 years experience building stone and block structures which include, but are not limited to, fireplaces, pillars, homes, and floors for both commercial and residential properties. CARPENTRY– I have enhanced knowledge and experience in residential and commercial building and remodeling. I have built both stick built and log structures. LANDSCAPING AND ARCHITECTURE– I have worked in the greens industry for around 19 years. I have laid sod, planted hundreds of acres of different types of grass seed, and tens of thousands of trees, and I helped design and expand my family’s golf course. I have also achieved and maintained a Minnesota Pesticide Applicator’s License. HEAVY EQUIPMENT OPERATOR– I have obtained operating skills with various heavy equipment including caterpillars, trenchers, backhoes, bobcats, telehandlers, mowers, and tractors while running and maintaining multiple types of implements. IRRIGATION– I have also been instrumental in laying many miles of irrigation pipe and wiring. I have pounded two sand point wells for potable water and have installed and operated a Rain Bird Irrigation System for an 18 hole golf course. I have also helped dig and install numerous septic tanks with drain fields. 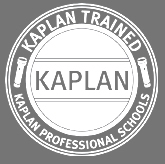 "I have completed the Kaplan Professional Home Inspection Schooling and Exam. I have also passed the National Home Inspector Examination. Along with home inspections I am certified to test for radon, and I do water and lead testing. In addition, I am a member of INTERNACHI and through them I must continue to do educational courses and testing every year."